First, we have to perform the delightful activity of seeing how the recommendations of the wizards for 2017 in Outlook Business fared. As one can see, the performance of the stocks is quite creditable with Ekansh Mittal, Manish Bhandari and Ajay Jaiswal being tied for the first position with fabulous gains of nearly 100% each. Reliance Industries, the blue-chip behemoth, has surprised by delivering a fabulous gain of 81%. For some reason, I was under the impression that mega-cap stocks cannot deliver hefty gains. As usual, I was wrong. 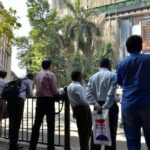 The three Bank/ NBFC stocks have done well with returns in excess of 30%. However, the two Pharma stocks have disappointed owing to the headwinds in the sector. The average return from the seventeen stocks is 36% which is quite respectable given that the Sensex has given a return of 25% in the same period. The CNX Midcap Index gave a return of 35% in the same period. Let’s discuss a few stocks which are familiar to us. In March 2015, I had spotted Prashant Jain, Kenneth Andrade and Ajay Relan making a beeline for APL Apollo Tubes and aggressively buying the stock. Thereafter, in September 2016, Mudar Patherya recommended the stock on the basis that it has discovered a “sweet spot” and is “protected from competition”. Ashish Kacholia, Narendra Kumar Agarwal and other luminaries also stormed into the counter and made themselves at home. It is obvious that the heavy-duty interest in the small-cap stock means that it is already a mega multibagger. Ajay Relan has now assured that “story has just begun” and that the stock is expected to give 3x returns over the next five years. “The company’s market share in the next five years is expected to rise to 17% at the expense of its competitors and the unorganized market …. At this stage, we have to note that Emkay has foreseen a whopping upside of 52% in APL Apollo Tubes. – Initiate BUY on this midcap and under-researched name, TP Rs2,812. APAT, a specialized steel processor, would double its profits and improve its ROCE to 30.5% from 20.6% by FY20. The stock is undervalued at PER of 13x FY20E. – APAT is No. 1 steel pipe maker with 13% domestic market share. We are confident that this would rise to 17% by FY20. APAT has managed to grow revenues faster than the sector (5Y CAGR of 27% vs the sector’s 9%) due to its core strategy which is focused on innovation, branding/distribution and capacity expansion. Its earnings expanded at 24% CAGR during the same period. APAT is now increasing its capacity by 54% this year. 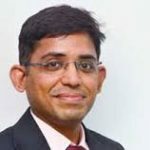 Ajay Jaiswal of Stewart & Mackertich has already given us a personalized and one-to-one recommendation to buy Indian Hotels (he recommended three stocks in all). The logic, which is based on the proposition that the hotels sector is seeing an ‘upcycle’ is very convincing. We saw earlier that his recommendation to buy Royal Orchid Hotels, a micro-cap, was based on the same logic. Royal Orchid has posted magnificent gains of 55% in just three months. We can expect Indian Hotels to walk on the same illustrious path. It is also worth recalling that Porinju Veliyath and Ashish Chugh have also expressed the opinion that investors should aggressively buy hotel stocks now. Ekansh Mittal of Katalyst Wealth has proved his mettle as an ace stock picker from the fact that Chaman Lal Sethi Exports, his debut stock recommendation for 2017, has given a fantastic return of nearly 100%. As regards Manappuram Finance, we don’t require any persuasion to buy the stock because it is already Dolly Khanna’s high conviction stock pick. In fact, Dolly Khanna broke her long-standing rule of not investing in Bank and NBFC stocks and made an exception only for Manappuram Finance. As of 30th September 2017, Dolly holds a treasure trove of 95,34,454 shares of Manappuran Finance which is worth nearly Rs. 100 crore at the CMP of Rs. 104. After Ekansh Mittal’s recommendation, there is now no excuse for us to not have Manappuram Finance in our portfolios. Everest Industries was first recommended by Porinju Veliyath in May 2017 when it was languishing at Rs. 259. Porinju recommended that the stock should be aggressively bought because it is a major beneficiary of the “Trillion dollar opportunity” in the Infra and housing sector. It is unbelievable that in just 7 months, Everest Industries is standing tall at Rs. 518 and has given an eye-popping gain of 100%. Vijay Kedia stormed into the counter and scooped up a massive chunk. As of 30th September 2017, he holds 3,88,336 shares and has emerged as the single largest individual shareholder. Thereafter, he also recommended the stock as part of the ‘Diwali Dhamaka’ celebrations and meticulously explained why the stock should form part of our portfolios. 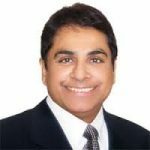 Vijay Kedia has repeated the assurance in the latest article. He has assured that the high-margin pre-engineered buildings and value-added products will prove to be a revenue-kicker for Everest Industries. 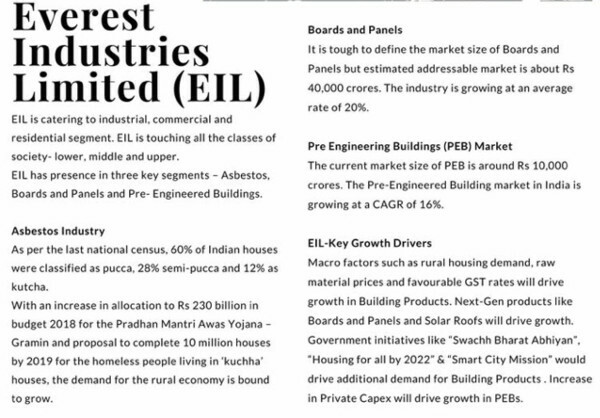 It is notable that Dolly Khanna and Anil Kumar Goel have also backed the ‘housing-for-all’ theme by buying massive chunks of Visaka Industries, Everest’s closest competitor. Thangamayil Jewellery also needs no introduction to us. 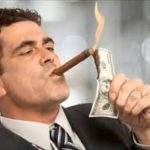 We saw a few days ago how Kenneth Andrade of Old Bridge Capital launched an audacious raid into the micro-cap stock and scooped up a massive chunk of 489,427 shares. Balusamy Ramesh, the promoter, meekly handed over the chunk to Kenneth Andrade. No doubt, he must now be regretting his decision. The stock has thereafter been locked in upper circuit and has surged from Rs. 410 to Rs. 635, posting massive gains of 53% in less than 30 days. The stock is also a favourite of Billionaire Radhakishan Damani, Ramesh Damani and Akash Bhanshali. Viraj Mehta of Equirus Securities has explained the entire nitty-gritty of Thangamayil Jewellery. He has opined that the stock is an attractive bet because of “India’s love for gold, the shift from the unorganized to the organized”. He has also described Thangamayil Jewellery as an “anti-fragile company with a prudent management”. At this stage, we have to note that Viraj Mehta’s logic will apply equally to PC Jewellers, Thangamayil’s arch rival. PC Jewellers is the favourite of Brahmal Vasudevan of Creador Capital. He described it as an “exceptional company experiencing a phenomenal growth rate”. PC Jeweller has also given stunning multibagger returns since then. Motilal Oswal has recommended a buy of PC Jeweller on the ground there is “enormous opportunity unfolding in Indian jewellery as a result of value migration towards organized players”. From this it is obvious that we must also have one or more jewellery stocks in our portfolios! 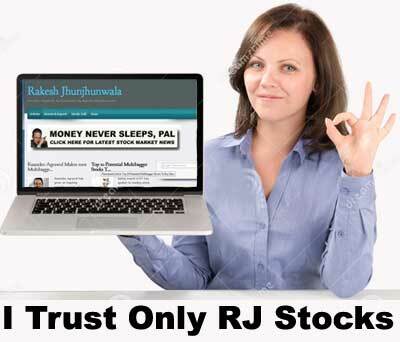 The rationale given by the other stock wizards for recommending the other multibagger stocks is equally convincing. We need to urgently read them up and load onto our favourite stocks ASAP! Chaman Lal Setia Exports Ltd was recommended @ 99 and now it is 150 ( only in last 1 week it has moved from 110 to 150, for the whole year it was around 90-100) and you are saying that 100% return in 1 year, it’s just 51% return buddy……..which is average considering 2017 market condition. The YoY return is about 105%. The stock price on 10th December 2016 was ~Rs. 70. At the CMP of Rs. 150, there are gains of ~100%. 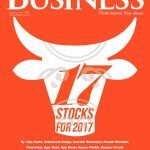 However, if the date on which the article was published in Outlook Business (13th Jan 2017) is taken, the return is only 50%. I think Manappuram Finance Ltd, Shriram Transport Finance Corporation Ltd. & Coffee Day are at low risk buying position. If I would have to add stocks to my portfolio, most likely this will be the basket. I am small inbestor in share market. I have money to buy 2 or 3 only shares. Please suggestion to me on which i should be buy from share market.